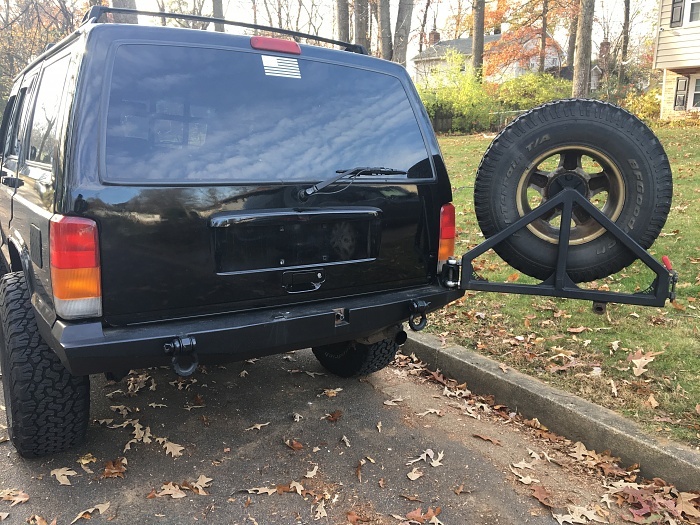 Hey guys, I am selling my Logan's Metal Products Rear Tire Carrier Bumper. I am asking for $650. LOCAL PICKUP ONLY in the Fairfax VA area. 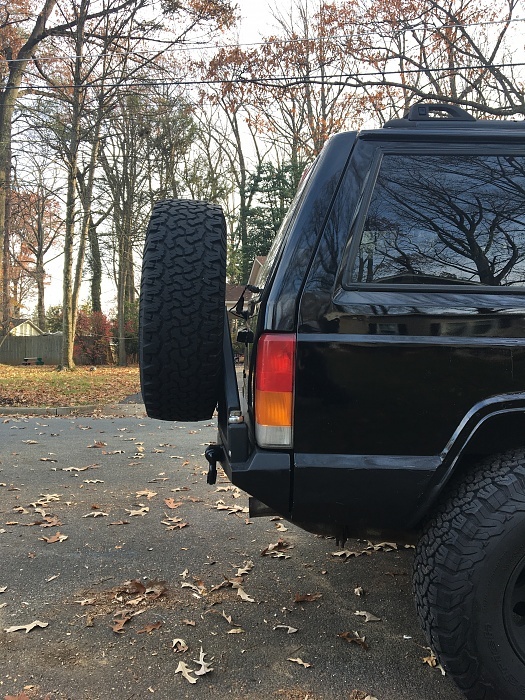 I currently fit a 31" tire on there. Can fit a 35". 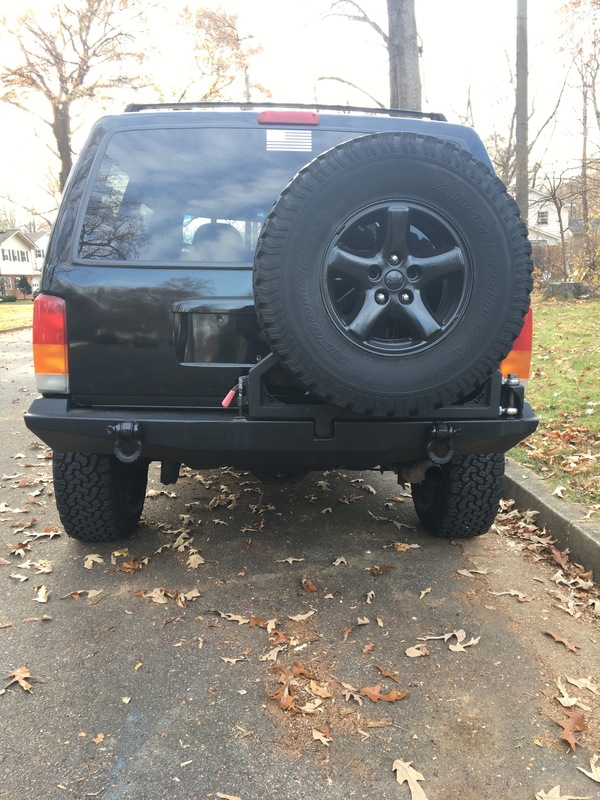 The bumper includes the tire carrier, D-Ring tabs, unibody frame tie in, and all hardware. 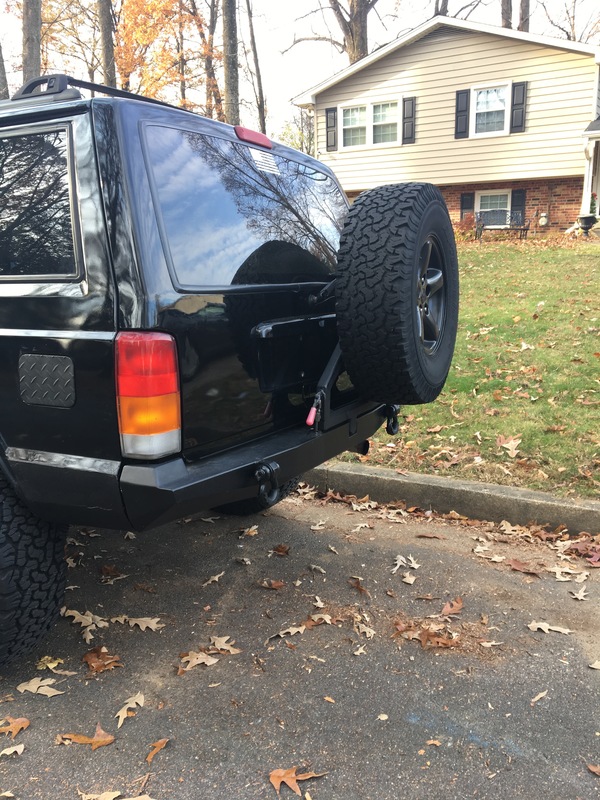 This bumper uses L shaped steel brackets on the outside of the frame rather than a nut strip on the inside of the unibody. Each side has 5 bolts to attach to frame and 4 bolts for stock bumper location. 18 bolts in total to hold this thing on. Bumper has no dents and no problems. Looking towards something to better suit my needs. Wish you were closer to Florida I would buy it from you. Always liked that bumper but didn't want to have to deal with going through the company and waiting a while.